Amanda received her Bachelor’s degree in Drama from the University of Toronto, followed by a Master of Fine Arts in Creative Writing from the University of Hong Kong. When she is not writing or teaching, she spends her free time pursuing other literary activities, either by managing the Hong Kong chapter of NaNoWriMo (National Novel Writing Month, a global nonprofit organization which advocates writing for people of all ages) or volunteering at the Hong Kong International Literary Festival. 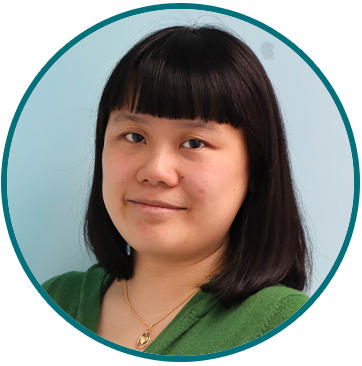 At ECP, Amanda enjoys sharing her knowledge and passion for storytelling so that young Hong Kong writers can find their voices and express themselves through the written word. Honestly, I enjoy every part of the workshop process. The beginning always feels so exciting, when I'm able to introduce the new theme to students, hear their thoughts in discussion, and meet the characters they create. It's a privilege to follow along the whole writing process and read every new scene as they are being written. Then, the revising period is hard work but also extremely satisfying when we iron out a final draft together. Finally, it's a proud feeling to give students their finished publications. Seeing and hearing their honest reactions have made some of my favourite ECP memories. "Oh, it's like... a real book!" Brian Jacques's Redwall series was a reading staple for me growing up, so naturally, I would love to spend a day around and behind the trusty sandstone walls of Redwall Abbey! To avoid the mischievous dibbuns during breakfast, I would instead have a peaceful morning in the Gatehouse, reading up the Abbey's long history. Of course, that means I would uncover an ancient riddle hinting at the whereabouts of a long-lost heirloom encrypted into the records, sending all the mice, otters, hedgehogs, squirrels and hares on a great quest around the lawns, orchard, corridors, and perhaps even up to the roof and bell tower. Once our treasure is found, we can celebrate with a classic Redwallian feast in the Great Hall before the tapestry of Martin the Warrior himself!